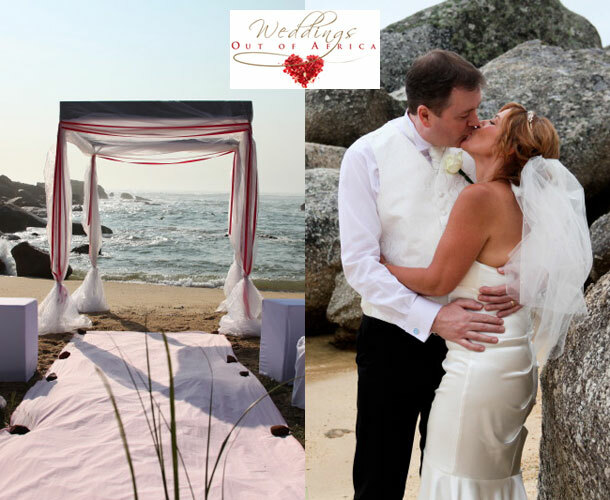 Weddings out of Africa specialise in personal wedding planning for couples who reside abroad and need assistance with planning their special day. Our team is exceptional in their field, and offer many years of experience. 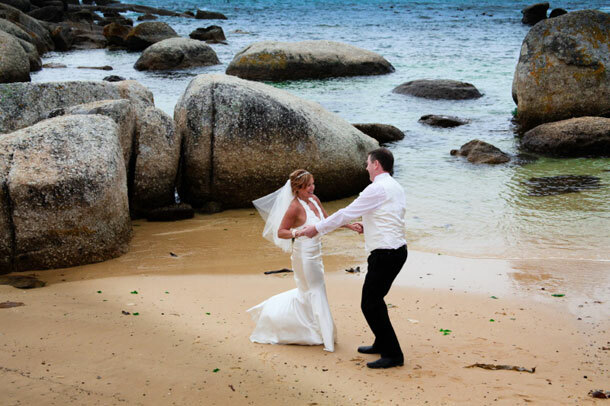 We choose our locations with extreme care, and our extensive tourism knowledge ensures that we can help you with every detail of your destination wedding. The team created the perfect day for Caroline and John (from the United Kingdom) at Oudekraal in Cape Town and Caroline reflects on their special day. “I just wanted to drop you a note now that John and I are back in the UK to say a huge thank you for organising our wedding and making the day so special and run smoothly. Although I was a bit disappointed not to make it up table mountain the Oudekraal beach turned out to be the better option. My friends and family all said that it was much more intimate and private and they thoroughly enjoyed it. I would be more than happy to give references about your service as I was so impressed that you had organised everything for me with nothing to do which is what you need when you are 6000 miles away. The cake was gorgeous and John and I love all the photographs Simone is an amazing photographer. My friends also could not believe that we had only met Andred on the Sunday as they said the way he talked about us it was as if he knew us. I would like to get married at Oudekraal. Could you please tell me how I can arrange that? Also is there a reception venue nearby or could I put a marquee up on the beach? Hi Tarryn I’d suggest you get hold of Kirsty from Weddings Out Of Africa – he contact details can be found in the post above. She should be able to answer some of your questions.